Leggings are comfortable and suitable to wear in every season. They are available in a never ending array of different colors, patterns and styles. During the warmer months you can opt for shorter ones in order to keep cool. If you have an active lifestyle and also like to look your best you will love the versatility of a comfy pair. Unlike some fashions they are suitable wear for people of all ages. No matter what your lifestyle or fashion preferences you will be able to find a pair that is perfect for you. Leggings are wearable and comfortable for people of all sizes, the soft fabric allows them to fit perfectly all of the time. There is no need for a belt and no fussing with buttons or zippers either! How you choose to wear your pair depends greatly on your personal preferences. They work well with casual shoes such as sandals, with heels or with warm socks and boots during the winter months. For a casual weekend outfit that is comfortable and on trend you can team your Lushhh Leggings with a cute top as shown below. Adding a jacket and boots creates an ideal winter look. Some people prefer to wear quite long shirts and there are those who like to wear them underneath a short skirt or dress. The versatility of leggings as a fashion item is one of the reasons that they are so very popular. If bright stand out colors and patterns are not your style there are still many great options available to you. Plain colored legging come in both bright and darker colors to suit your preference. Simply choose your Lushhh Leggings color and accessorise with your favorite fashion pieces for a unique look that is really you. If you like to be noticed and make a statement with your fashion choices you will love the range of interesting patterns and colors that are available. Choose from classic animal prints, psychedelic colours, modern tribal designs, florals and much more. If you are lucky enough to have a daughter or a Mother that is special to you then you will adore these cute sets. Perfect for Mother and Daughter outings or just to wear around town. These are so eye catching and cool that people are sure to notice everywhere that you go. A lovely gift idea for birthdays, Mother's Day or other occasions. 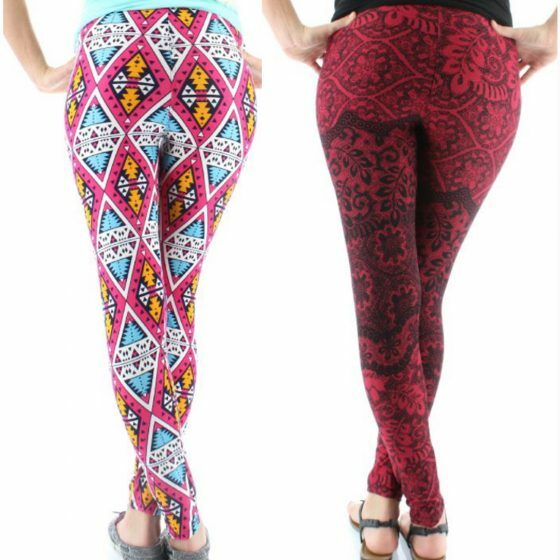 Premium leggings are a great choice for some special occasions and they often last longer than others. If you want a pair that you can dress up or wear very often The Adrian - Metal is a great option. The Adrian - Metal is offered in four different sizes, x-small, small, medium and large. Legging are available in more than one length. The full length variety is very popular and you have probably either worn a pair or seen many people who do wear them. This length is preferred as a more comfortable alternative to wearing jeans or other types of bulky pants. Full length heavier fabrics are wonderful in cooler weather but there are also lighter fabrics and summery colors for when it heats up. Shorter legging such as these 3/4 styles are harder to find than their full length counterparts. Wonderful for days at the beach, going for walks or casual cycling. On very hot days they provide more freedom of movement and fresh air. If you are searching for the perfect pair of workout pants then there are some great legging styled options that are perfect. Pairs made for exercise feature lightweight breathable material and designs that allow freedom of movement. LUSHHH active wear is available in both regular and plus sizes. Being up to date with the latest trends is important if fashion is something that matters to you. Below are some of the newest cutting edge leggings on the market. See more new styles HERE. 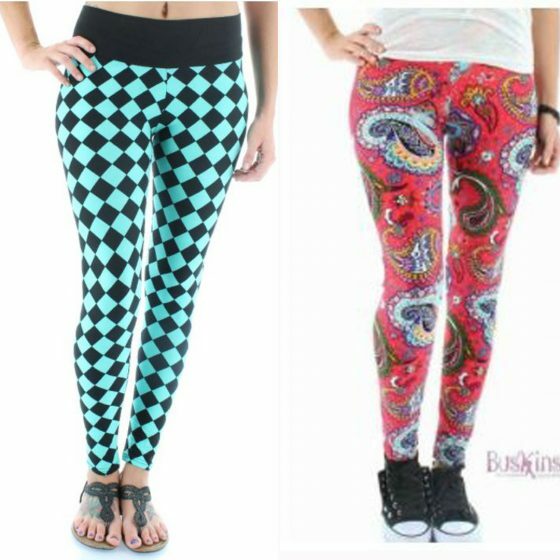 Buskins leggings are awesome because they are of superior quality and the range of styles carried is amazing. Pairs are available in many sizes including regular, plus sized, mens, womens, childrens and toddler sizes.